Fill each glass halfway with cocktail sauce. Place one shrimp in each glass with the tail shooting out. Squeeze fresh lemon juice on each shrimp. 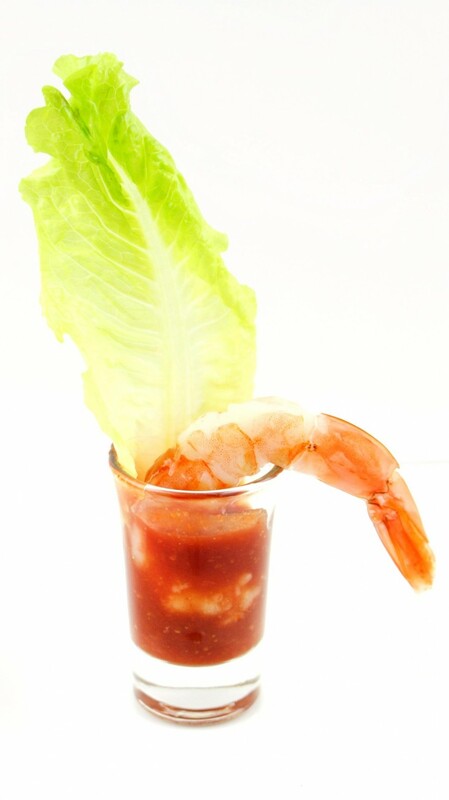 Garnish each glass with a Romaine lettuce leaf, positioned behind the shrimp.